Last week, the Nebraska Legislature adjourned sine die, marking the end of this year’s legislative session. Each year, Voices for Children works to set legislative priorities, driven by data and research, to make Nebraska the best place to be a kid. Here’s a recap of how kids fared this session. LB 714, introduced by Senator Howard, would provide a procedure for a teenager living independently to request a formal court order of emancipation. The bill received a Speaker priority and passed into law, 45-1-2. LB 1078, introduced by Senator Crawford, would ensure that allegations of sexual abuse of children in care continue to be investigated and reported to the Legislature. The bill was amended to include provisions from a number of important child welfare bills, including LB 411, which strengthens sibling placement and visitation in foster care. The bill received a committee priority and passed into law unanimously. LB 931, introduced by Senator Howard, would create protections for the prescription of opioids to minors, preventing harmful exposure to the addictive drug among children. The bill was prioritized by Senator Howard and passed into law unanimously. LB 998, introduced by Senator Walz, would meaningfully address a rising need for mental and behavioral health among Nebraska’s children. The bill created a privately-funded Collaborative Behavioral & Mental Health Program in our state school systems, assisting local districts with connecting to services, training, and resources. The bill was prioritized by Senator Bolz and approved by the Legislature, 31-15-3, on the last day of session, but was returned without approval by the Governor on April 23. With no opportunity for a veto override in the Legislature, the bill does not become law. LB 776, introduced by Senator McCollister, would provide inmates more affordable access to phone and videoconferencing services. This bill contributes to a long-term vision for minimizing the trauma children experience when a caregiver is incarcerated by reducing the cost of phone calls when a parent or caregiver is arrested. The bill was prioritized by Senator McCollister and passed into law, 38-8-2. LB 194, introduced by Senator Vargas, would have preserved access to payday loans while ensuring families aren’t intentionally trapped in a cycle of debt by capping charges, interest, and fees, and spreading the costs more evenly over time. The bill was amended and no longer includes changes to the payday loan product, but takes first steps in closing a loophole, implementing new reporting requirements, and creates a payment plan option for borrowers. The bill was prioritized by Senator Vargas and passed into law unanimously. 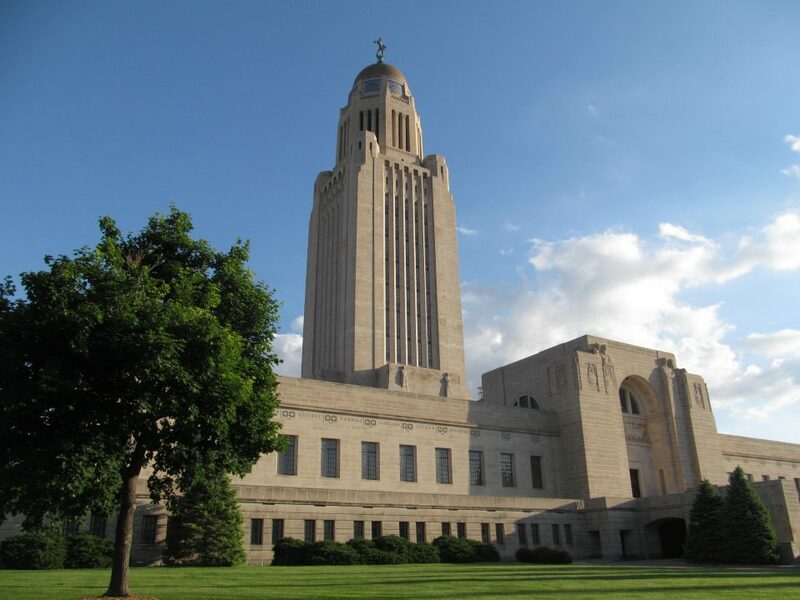 LB 670, introduced by Senator Krist, would change membership, powers, and duties of the Nebraska Coalition for Juvenile Justice. The bill was amended in Committee to include provisions from four technical juvenile justice bills, including a bill to strengthen reporting requirements for juvenile solitary confinement. The bill was also amended to include provisions of LB 1112, introduced by Senator Vargas, wwhich ensures that youth who pose no risk to community safety or flight won’t experience the harms of incarceration, allows flexibility state grant funding for counties to create shelters as alternatives to detention, and requires counties to consider racial and ethnic disparity when creating comprehensive juvenile plans. The bill received a committee priority and was passed into law, 37-4-8. LB 158, introduced by Senator Pansing Brooks, would ensure access to the Constitutional right to counsel for all Nebraska youth. Access to quality legal representation protects kids and ensures they understand their rights and the possible consequences of juvenile court involvement, but all too often kids go without this fundamental right. This bill would help ensure that more young people understand this right before choosing to waive it. The bill was prioritized by Senator Pansing Brooks, but a motion to invoke cloture on a filibuster of the bill fell short by 2 votes, 31-8-4. Thanks to all who contacted their senators about pro-kid bills in this year’s legislative session. In the coming weeks, we will be releasing a more comprehensive overview of our legislative work this session in our annual sine die report, so stay tuned! Sign up for our advoKID to get the latest updates as we continue to make Nebraska the best place to be a kid!